In India, we “Dhara industries” making the admirable efforts to fulfill the increasingly developing requirements of our important customers towards the special ranges of v belt pulley, Timing Belt pulley, pin Bush type coupling, Gear coupling, Star coupling, C.I Hand wheels, aluminum pulley etc. Apart from this our team is engaged to manufacture & supplying the above the expectation level of v belt pulley for our esteemed customers additionally we are also making the all types of the industrial Sprockets, pulleys and couplings in India and also we are the prominent V-Belt Pulley Manufacturer in India. All of the above mentioned products are designed and produced with the immense care because we believe in the qualitative product which is completely manufactured with the good quality of resources. We are holding the great reputation as one of the best company in Ahmedabad, Gujarat for supplying & exporting the excellent series of pulleys such as V-Belt Pulleys, C.I. V Belt Pulleys, C.I V Belt Single Groove Pulley, Solid Pulley, Split Pulley, and Step Pulley and also includes the sprockets, coupling, CI Motor Rail, CI Hand Wheel etc and majorly well known as the v belt pulley suppliers in ahmedabad. Our offered products finds the wide applications at the Oil mill, Textile mill, Crusher plant, Dairy plant, Food machinery, Gases industry, Ball mill, Rolling mill, Power mill and much more. All our offered products are designed in conformity with the international quality standards by utilizing the better quality material & modern tools for the manufacturing of v belt pulley Ahmedabad. Our customers are broadly purchasing these products due to its modern design, sturdy in structure, designed with the excellent materials and especially for its user friendly price ranges. Fixed pulley: A fixed pulley has an axis bolted in bearings attached to a supporting structure. Movable: A movable pulley has an axle in a movable block. Compound: A mixture of fixed and movable pulleys forms a block and tackle. By maintaining follow with the most recent market advancements as the V-Belt Pulley Manufacturer, we are exhibiting fine quality of V-Belt Pulley to our customers. It is worked under the weighted load with diminished exertion and is additionally kept up with their steady outstanding execution and it is incorporated with decrease shrubs to guarantee its smooth movement and lessen the erosion level. Our pulley is austerely tried on various quality parameters to affirm its deformity free nature; we offer this V Belt Pulley and its similar Single Groove V Belt Pulley and Cast Iron V Belt Pulley in various particulars according to the necessities of customers. Our experts produce V-Belt Pulley and its other various types of Double V Belt Pulley, Single Groove V Belt Pulley and Cast Iron V Belt Pulley by utilizing subjective metals to guarantee its dynamic development and strength. It is incorporated with decrease hedges to guarantee its smooth movement and lessen the contact level. Our offered scope of V Belt Pulley and Double V Belt Pulley discovers its application in different ventures of the worldwide market inferable from their exact measurements and our consumers effectively buy these items as indicated by their required particular and at suitable cost. 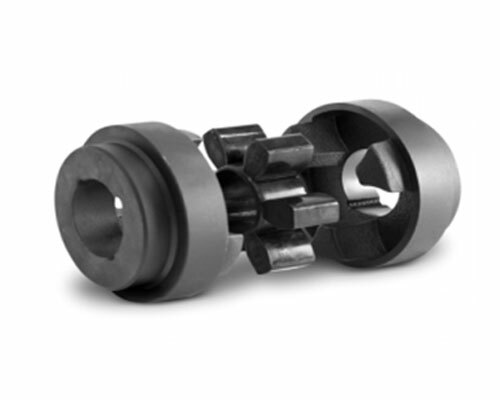 We are an imperative premise, included with manufacturing and providing a wide collection of Taper Lock Pulleys. Our admirably built taper lock pulley is utilized for power transmission as well these are sternly kept an eye on diverse parameters. The Taper Lock Pulleys are accessible in various details to meet the necessities of the customers. This pulley is utilized in different businesses with belt when extreme load is connected. By looking forward towards its durableness, elegant structure, smooth functioning and along with its fantastic characteristics, it is straightforwardly available in the market at the nominal cost. We assure that by no means get the problem with the working with our Taper Lock pulley. Our taper lock pulley has picked up a prestigious name in the market and our Pulleys are made accessible by us in different details at ostensible costs. We “Dhara industries” are one of the leading V-Belt Pulley Manufacturer in India. Sincerely indulged to manufacture, supply and to export the robust quality of all types of pulleys, couplings and sprockets to our reliable customers. From the very beginning, our company have decided to provide the worthful products with the reasonable price ranges so that every small & large industries can be capable to avail our Taper lock Pulley, Star Coupling, Tyre Coupling, Nylon Gear coupling, Chain Sprockets, C.I. Hand Wheels, Aluminum pulley, Motor Rail, Trolley Wheels etc within the affordable budget. As comparing to our competitors in the market, we are giving the promising type of qualitative and comfortable price of products to our valuable consumers. This is the core reason that we are mentioned as the reputed Cast Iron Pulley Manufacturer in India. Why Dhara Industries pulley is Unique?